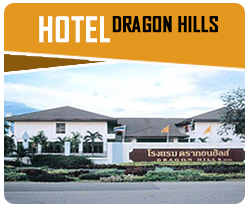 Dragon Hills Golf and Country Club Ratchaburi city Thailand. 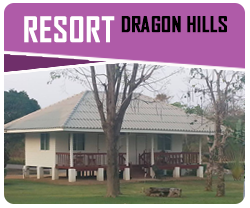 Dragon Hills, named for its dramatic sweeping natural landscape, is situated on 6,000 rais (1,500 acres) of lush land in the middle of valleys and hills of various sizes and shapes. 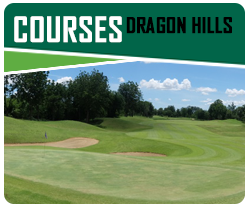 Enjoy the unspoiled, fresh scent of grass, flowers, and trees as you play an unforgettable round on our challenging course, cooled by breezes from the surrounding mountains as it carries over from the Andaman Sea. 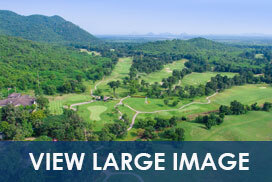 A golfing experience unlike any other course in Thailand, just 1.5 hours drive from Bangkok, away from the overcrowding and chaos of other more well known golfing areas nearby. 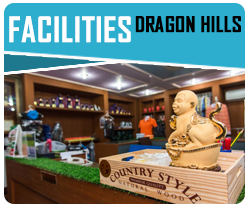 Dragon Hills also provides land for acquisition by the fairway and on the rest of our extensive property. 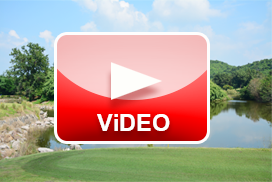 Our well equipped clubhouse and restaurant will have you feeling relaxed and refreshed after a vigorous game. 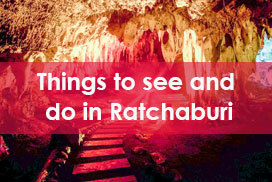 We also have a hotel for those wishing to spend more time golfing with us, or exploring nearby attractions such as Ratchaburi city and other popular tourist areas referred to in our guide.